Enter a unique Name here. The web service can be reach under this namespace later. A short description of the web service can be entered here. For network scenarios where clients call the web service via the location defined here independent of the link address and port defined on Intrexx pages. 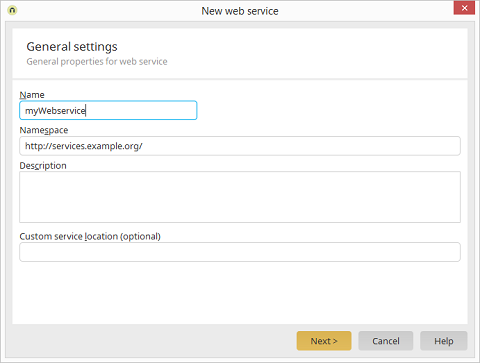 The custom service location is entered in the WSDL.